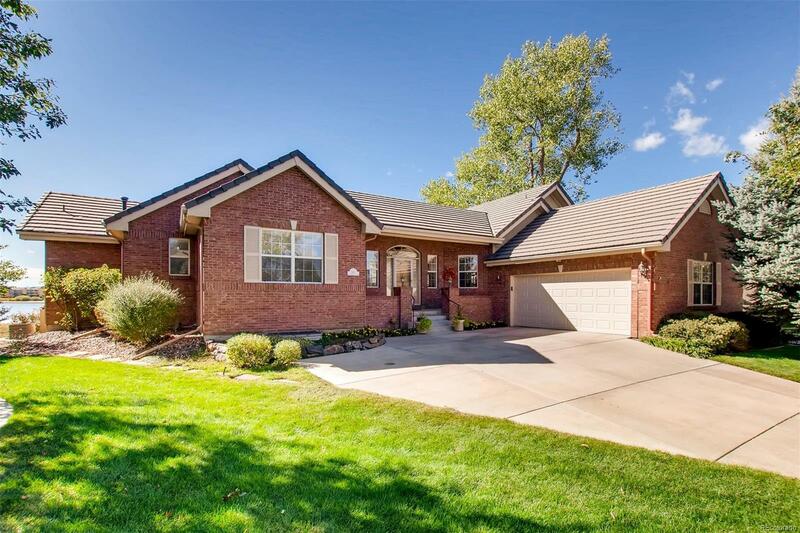 7462 West Chenango Place Littleton, CO. | MLS# 3778823 | Whether Buying, Selling or Building Call an experienced Professional. I am at your service. Beautifully maintained and finished brick walk-out ranch with heavy concrete roof, hot water heated 2 car garage and heated driveway, located on a cul-de-sac and backing Bowles Reservoir. The mountain and lake views are stunning from nearly every room in the house and the abundance of wild life watching is awesome. The main floor carpet has been updated and the deck is newer. The floor plan is functional and the decor is tasteful and well appointed. The home has 4-patio-decks, 2 furnaces, 2 AC units, 2 H/W heaters all maintained/serviced yearly, newer Bosch dishwasher. This property is a rare find in town.